When should you be using thick paint, straight from the tube? When should you be using thinned paint? 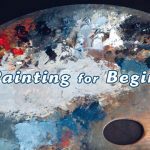 Learn how paint consistency can help you achieve the right results in your artwork.When I was learning to paint I had much trouble blending my paints in order to create smooth transitions from color to color. I also had difficulties painting tiny details into my artwork. This was largely due to the incorrect paint consistency I was using at that time. Why Do Paint Tubes Contain Thick Paint? Artist’s tubes of paint contain high viscosity paint, paint that is very thick and would generally stick to a wall without running down. This is a good thing. Artist’s paints contain a high dose of pigmentation and can always be thinned out by adding additional mediums or thinner to the paint. You can’t really make paint thicker so manufacturers give you really thick paint to begin with, making the assumption that every artist can thin out their paints to the desired consistency. There are times when it is a good idea to use paint in its thickest, high viscosity form, straight from the tube. Please note that in order to do so you will need a paintbrush with sturdy bristles. A hog hair brush, or chunking bristle brush will do the trick. In the following passage I refer to thick paint as paint that is of a high viscosity, and straight from the tube, not to be confused with a thick application of paint. 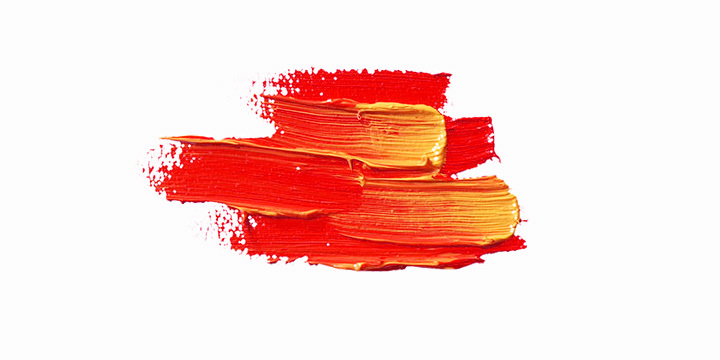 Blending – When you want to blend paint, it is best to use the paint that is of high viscosity. The stickiness and drag created by such paint will actually make your blends more controllable. Fixes / Alterations – Anytime you need to paint over an area to fix something or make a drastic color change you are best using thick paint. Thinned out paint will let previous, undesired layers show though which is what you’re trying to avoid in the first place. 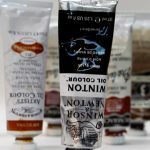 With the exception of a few acrylic painting gels, and oil-based wax mediums, most paint additives you mix into your oil paints or acrylic paints will thin out the paint lowering its viscosity. This can also be accomplished with your thinner…water for acrylics, OMS (odorless mineral spirits), etc for oil paints. There are plenty of times when having a thinner, more runny version of your paint is just what you need for your paint application. Lines & Edges – Don’t even bother trying to paint thin lines unless you thin out your paint to resemble a heavy cream-like consistency. I personally struggled with painting thin lines for years, stumbling my way though paintings and not quite getting the tight details I was after. 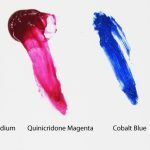 Details – Not only lines, but anything that requires a tiny brush with soft bristles will require you to thin out your paint slightly otherwise the paint will not budge. The next time you sit down to paint be aware of your paint consistency at all times. Sometimes we add a medium to our paints out of habit not really thinking about its consequences and how the resulting paint consistency will affect our painting techniques. When do you use paint, straight from the tube? 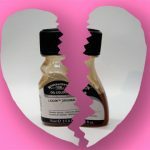 When do you thin your paints?